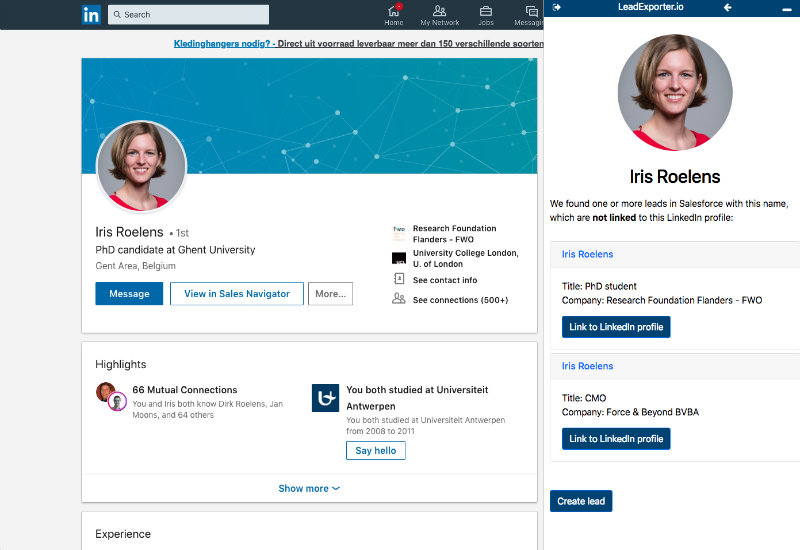 Stop wasting time manually copy pasting profile data from LinkedIn. 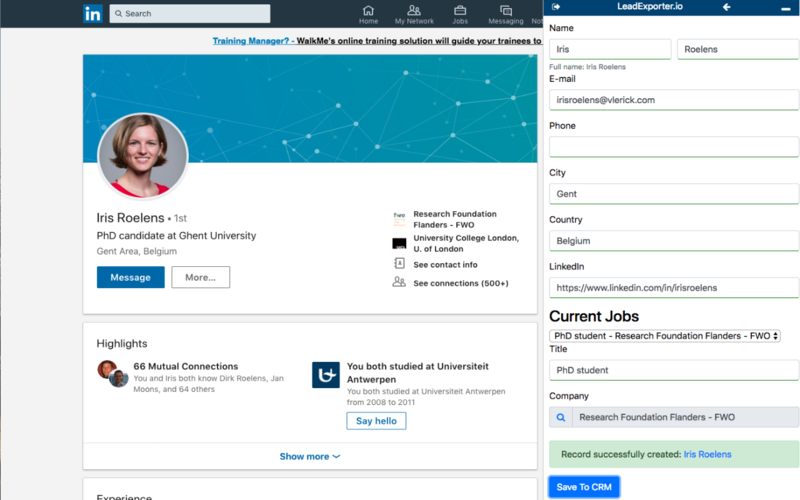 Are you still manually copy-pasting data from LinkedIn? When you visit a person profile on LinkedIn or Sales Navigator, LeadExporter will show a form in a sidebar and populate it with relevant data from the profile. Active job positions appear as a dropdown. Of course, you can overwrite the prepopulated values in the form. With a click on the button, a contact / lead is created in your CRM system with the info from the form, without you even having to be logged in to the CRM system. Contacts can be linked to Company / Account CRM records through a lookup in the form as well. When you visit a person profile on LinkedIn or Sales Navigator, LeadExporter will check if the contact already exists in your CRM system. If it does, core CRM info (like name, company name and recent activity) shows in the sidebar, together with a link to the CRM record. Just like with phone and emails, it makes sense to log InMails in your CRM system. LeadExporter.io allows you to log an InMail message with a single mouse click. When sending or reading InMail messages, the sidebar will show you whether or not the person you are messaging with already exists in your CRM system. 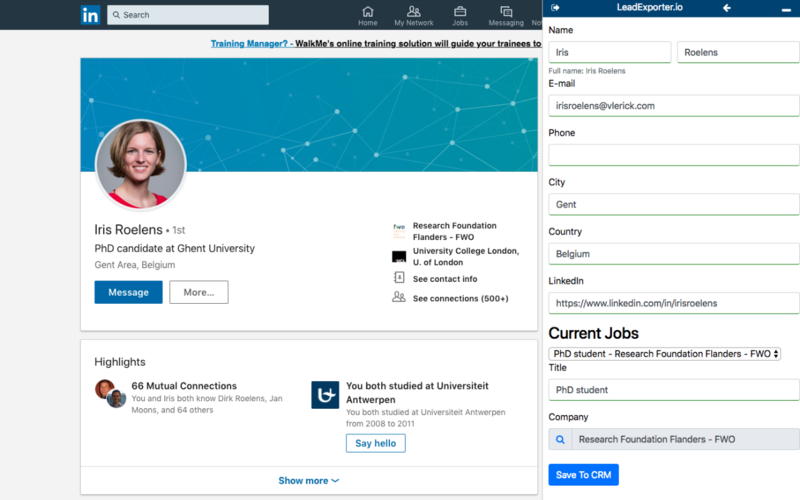 If so, key info about the contact is shown (like name, company name and recent activity), with shortcuts to the CRM record and the LinkedIn profile. 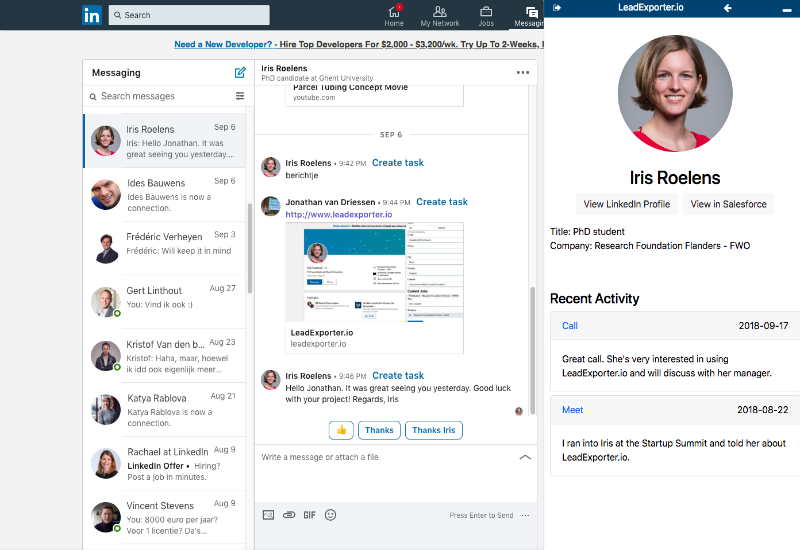 LeadExporter.io will tell when it finds duplicates in your CRM system, and allow you to link a LinkedIn profile to one of the records. This will help improve your CRM hygiene. Decide which fields show up in the form, in what order and which are required. Add custom fields and choose of multiple supported field formats. 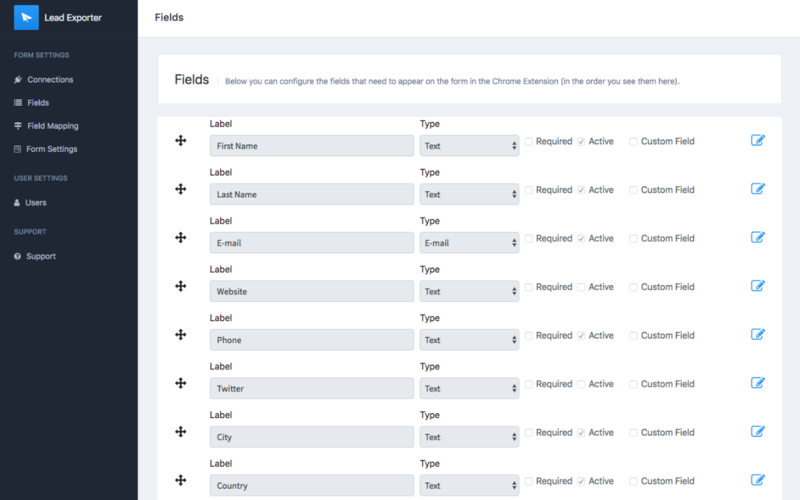 Simply map the fields to your CRM system fields. No matter which version of LinkedIn you use, LeadExporter.io can handle it.